Upgrade your UPVC the right way today! 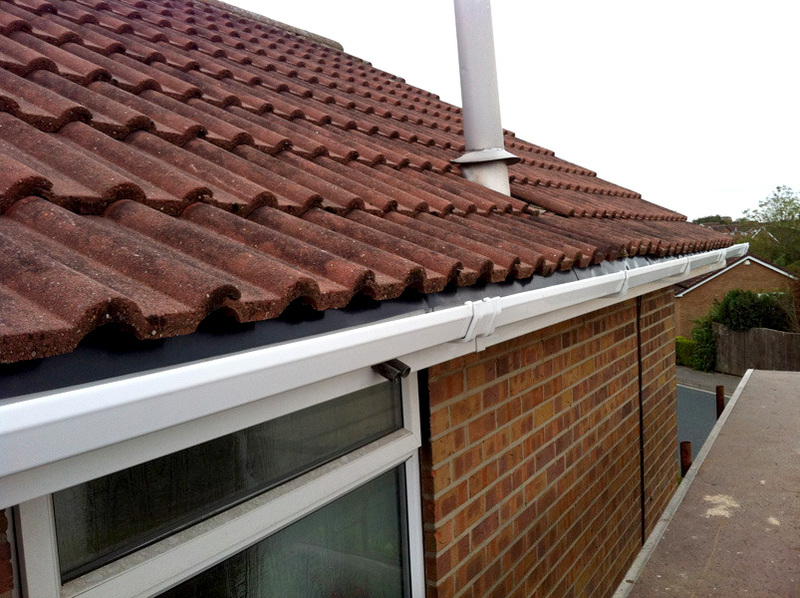 Renew the exterior of your house with new fascias, soffits and guttering with all in one eaves and bird guards to protect your roof. For a complete maintenance free roof you may also wish for us to install the dry verge, dry ridge and dry valley systems which we would highly recommend. What we do that most don't ! We set up scaffolding at the front and back of your house and only use ladders when space will not permit scaffolding. This means that the work is done once and to the highest standard. UPVC and eaves trays cannot be installed accurately or correctly working solely from ladders. Strip off the first 2-3 courses of tiles at the bottom of your roof. Inspect the lower section of your roof, we often find that the lower part of your roof needs repairing, usually due to felt or batten decay. Replace any damaged felt or battens on the lower parts of your roof, with new breathable felt and thicker treated roofing battens. 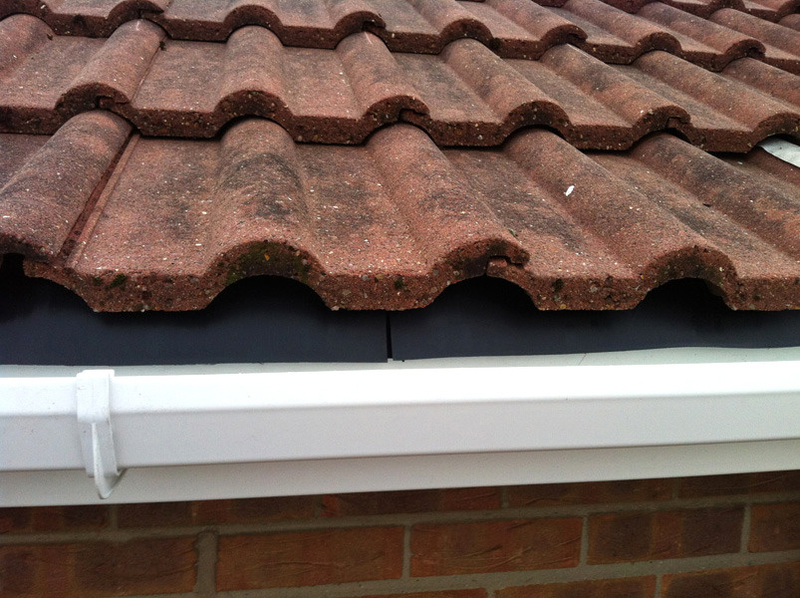 Correctly install all in one eave trays and bird guards whilst the tiles are removed. Eave trays are supposed to be screwed down and interlocked together with the roofing felt laid over the top of it, this can only be done if the tiles on your roof are removed; again this cannot be done from ladders. Most companies will force eaves trays under your tiles; this will either rip your roofing felt or the eaves trays will be laid over your felt either way it will result in your roof leaking. We see this problem almost on every job we correct. 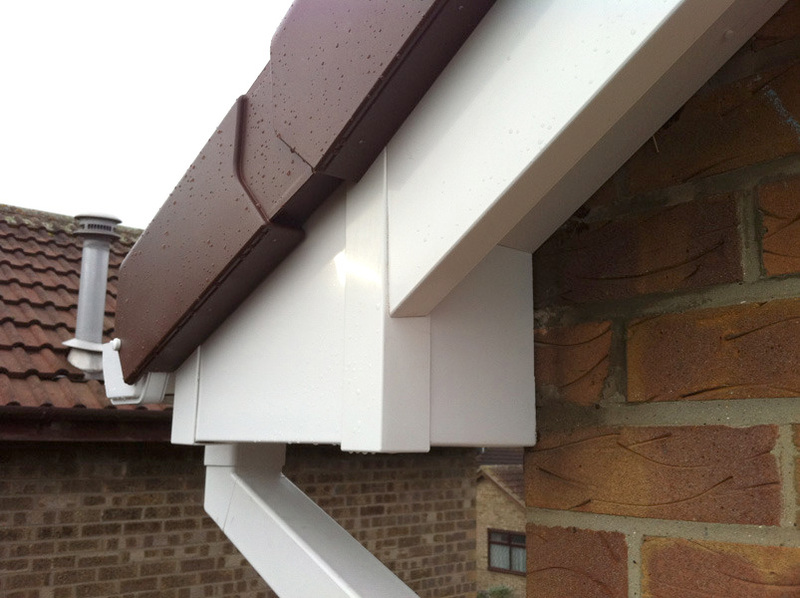 Securely and accurately fix each piece of UPVC, none of our clients have ever come back to us with UPVC falling off from strong winds or guttering falling off due to heavy snow fall.